The organisers of the Perfect Pattern Parcels put together a package of indie designer PDF sewing patterns along a theme. You can then purchase the pattern parcel for a price of your choice for a limited time only, and then ALL the profits go to supporting a charity called Donors Choose which funds and supports educational projects in the US. Parcel #6 is an awesome set of potentially mix-and-matchable womenswear patterns and is on sale here between 17th and 31st October. Bronte Top by Jennifer Lauren Vintage - Such a clever pattern, I'm pretty sure that it's impossible to make a version I wouldn't love to wear. Julia Cardigan by Mouse House Creations - I'm totally making this at some point, it looks like such useful layering garment. Hudson Pant by True Bias - Although they are way more 'urban' and contemporary in style than I'd usually make, I actually have a pair of these cut out and ready to stitch together. Zsalya Dress by Kate and Rose - There's a dress and tunic/top version included in this pattern and both look lovely. I would definitely make this for mild-to-mid maternity if I ever found myself preggers again. Syrah Skirt by Lauren Dahl (exclusive release!) - Not really my style and I doubt I'll ever make this but it could be a total staple garment pattern for many wardrobes. Odette Dress by Bluegingerdoll - A really clever take on a standard fit and flare dress, IMHO. So if you are still on the fence about whether or not to buy this pattern parcel, here's my version of the Bronte top that may sway you! This isn't the first time I've made this pattern. I was one of the testers for the Bronte top and I made a long sleeved version in navy and cream. Since the weather turned cooler, I've been wearing that top a lot and it never fails to score some compliments for me. When I saw the Bronte top on the list of patterns in this parcel I was reminded of how awesome it is. It may seem like cheating to make a parcel pattern that I already own, but I'd thought about making a 3/4 sleeved version in black and this was the kick up the bum I needed to make that happen. And as I mentioned above, I've cut the Hudson pants out as well, but KCW has got in the way of me actually sewing them together so far. The fabric I've used for this black version is a thin jersey knit. I wanted to see how this pattern worked in something finer than the navy stuff I made the last one from (it worked fantastically). Actually, I think this black stuff isn't the greatest quality: it's a bit too thin and I have a feeling it'll start to go out of shape before long. But stash-busters can't be choosers! The red plastic buttons are from Le Stash. I'm not sure if they look a bit kiddie, but I'm happy looking like a children's TV presenter from time to time! So there isn't much more I can add other than, if you like at least one of these patterns, then you really ought to buy this parcel! It's surprising how owning some sewing patterns that you wouldn't be immediately drawn to can open up your personal style. For example, I never would have bought the Staple dress pattern, but I have worn the dress I made for parcel #3 loads and I adore it. Which of these patterns is your favourite? 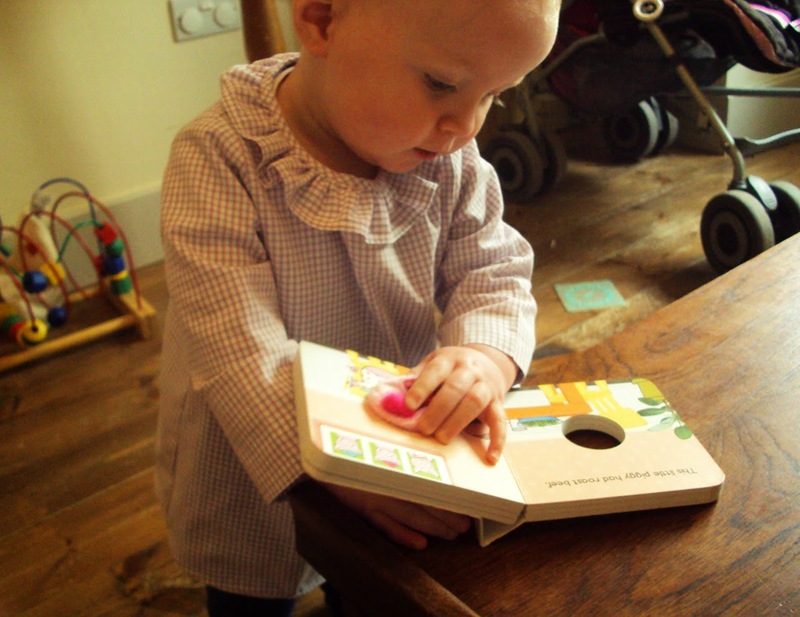 So, you may have noticed that I've been making more baby/child clothes over the last year or so... And in doing so and thinking about doing so, I've started to encounter a whole new (to me) subsection of the sewing blogosphere: the children's wear blogs. Holy shitballs there are some amazing kids clothes being made out there, let me tell you. Plus some of those blogs are sooooo beautiful. Like, stroke-the-pretty-pictures-on-the-screen beautiful. How any of these people have time to look after the kids they are sewing for whilst maintaining such amazing blogs, I have no idea! 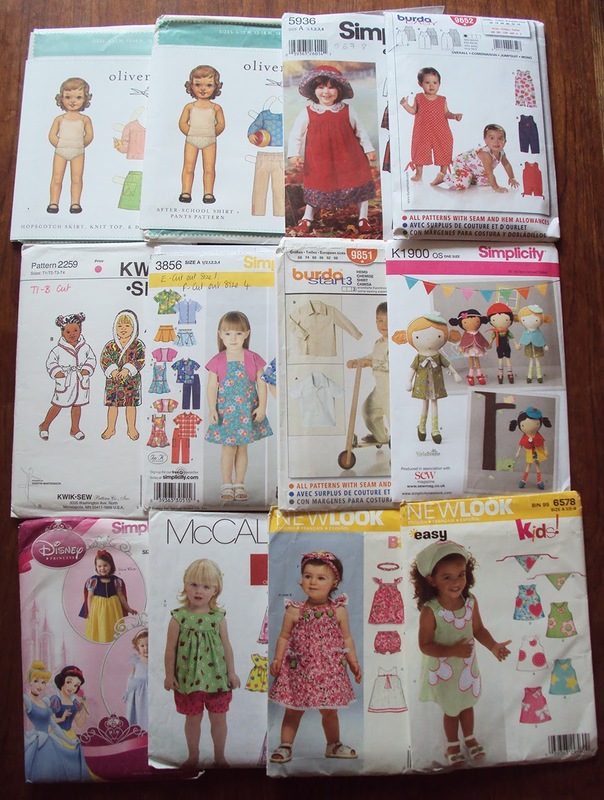 I came across a whole heap of children's wear (or partly children's wear) blogs when I took part in the promotion for the Perfect Pattern Parcel #2. My involvement with that and plundering Pinterest for my bloated though may I say amazing Kiddie Clothes Making board has brought a wealth of amazing independent children's wear pattern designers to my attention, along with the Kid's Clothes Week sewalong. 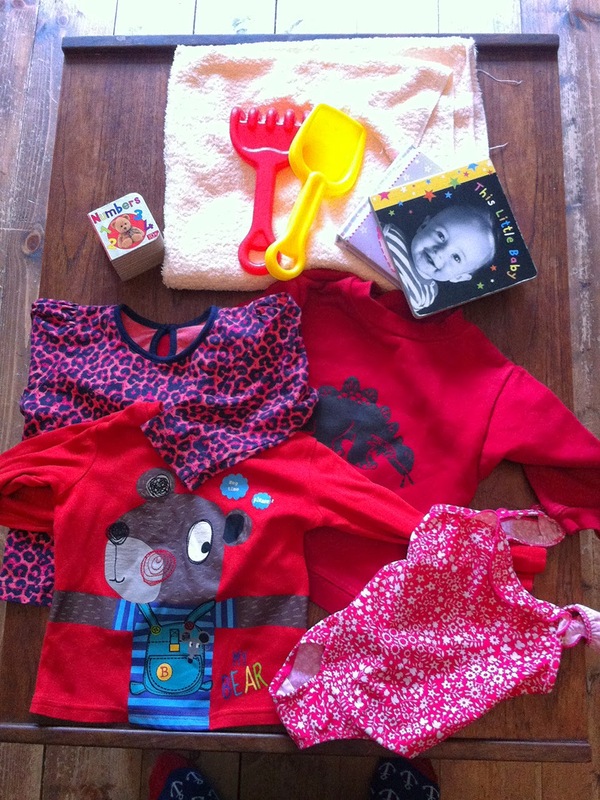 The Kid's Clothes Week blog can explain it all perfectly well, but in short it's a week-long sewalong that takes place four times a year along a theme which you are welcome to ignore. The only stipulation for taking part is that you sew kid's clothing for one hour a day for a week, and the latest instalment starts TODAY! The theme this time round is 'Storybook', but to be honest I'm going to ignore that and just dive in to the stack of patterns (some of which are pictured above) and fabric I have been sewing together in my head but haven't actually touched in reality. The preparation for releasing the Dolores sewing pattern, a bulk order for my Etsy shop, making stock to sell at Christmas craft fairs and other sewing obligations seem to have got in the way. Plus, my recent charity shop hauls and bags of hand-me-down clothing Dolores has received of late has abated any new clothing requirements she may have had for a while. 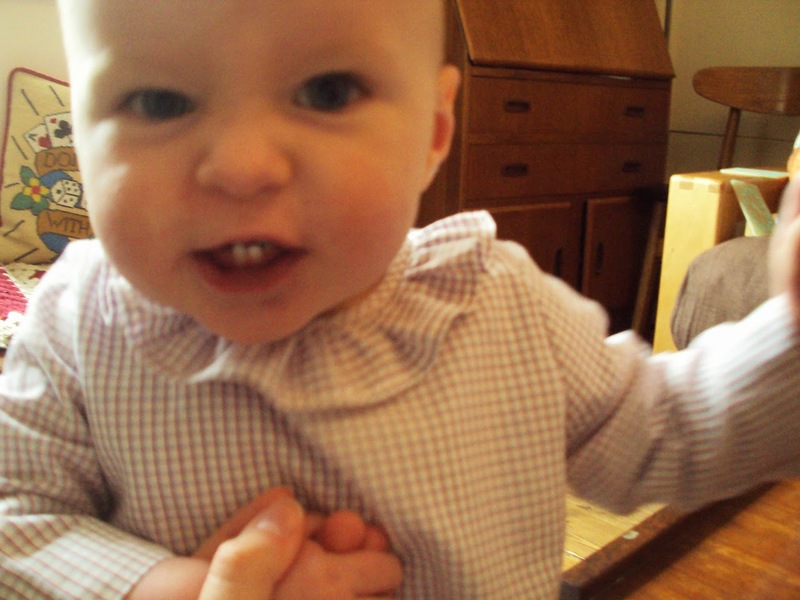 However, the joy of seeing her wear the recent baby blouse refashion has reminded me of how much I want to make the majority of her clothing, so I'm going to get stuck in next week and see how much I can make in seven hours. I'll probably make things for size 18 months or two years, as she has more than enough clothing for her current size. I'm working at the weekend so I'll have to spread those two hours of sewing into the other five days to make up my quota! I'll report back with my creations. 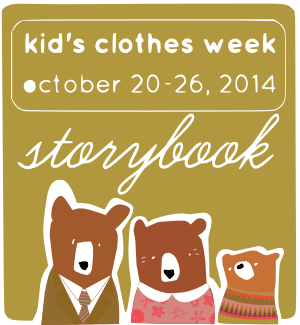 Do you follow any children's wear blogs? 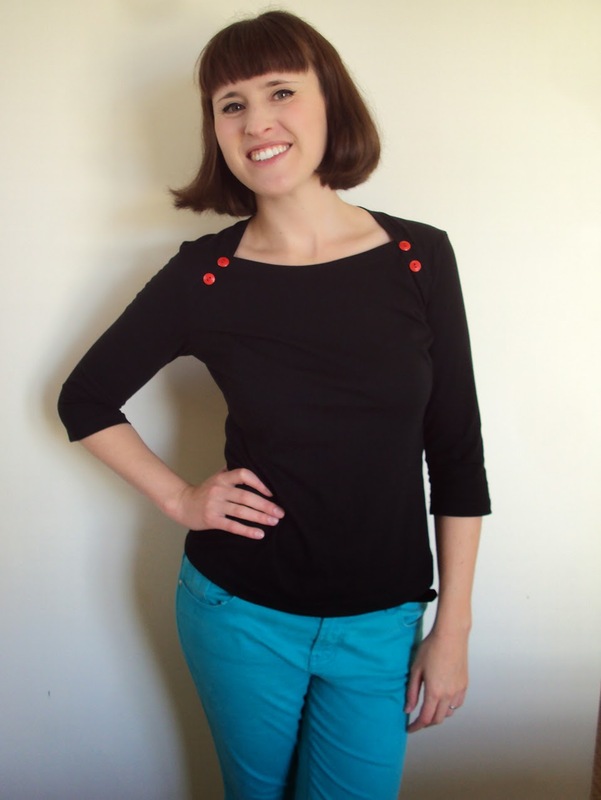 Have you used any independent sewing pattern companies' designs? Oh it feels good to crack out a Refashion Friday post again! It's been an age. As has this garment in the making, actually. This was the last sewing project I touched before I gave birth. I hadn't picked it up again until yesterday when I finally got to finish it, over a year later! I remember cutting out the pieces whilst not really having a clue about what was about to happen to my life.... This is going to be an unashamedly picture-heavy post, BTW, for two reasons: 1) I am so happy with the final outcome, and 2), my little girl makes for cute pictures! 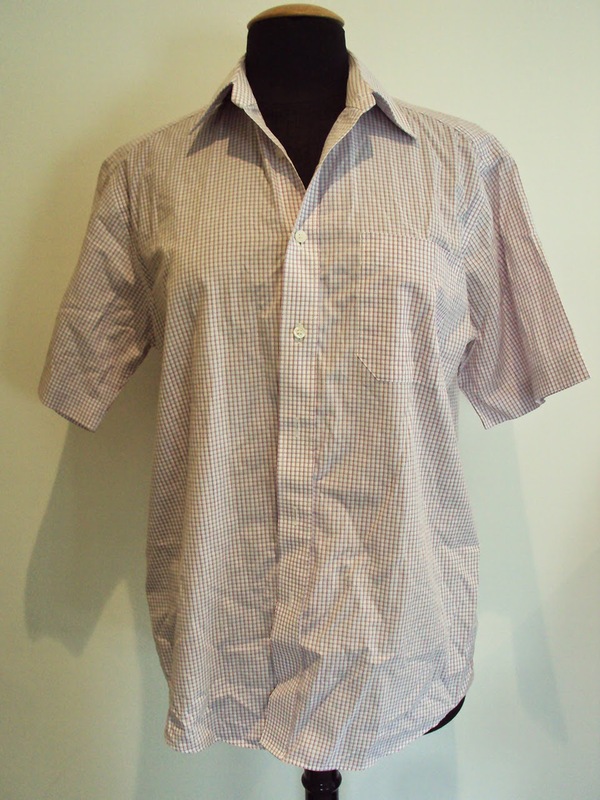 This project started out life as a fairly bland second hand men's short sleeved shirt (see above). I was drawn to it though because it has a delicate red and blue check that appealed to me. Plus, the fabric is super soft and it was in really good condition, generally. 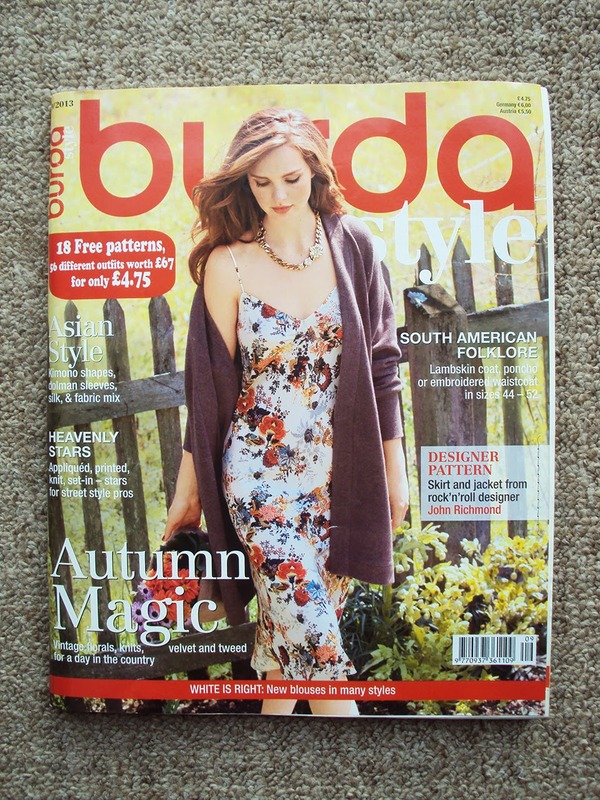 Every month I have a nose at the Burdastyle magazine on sale in my local newsagent. But rarely these days do I find a pattern in there that I'd actually like to make, let alone several. 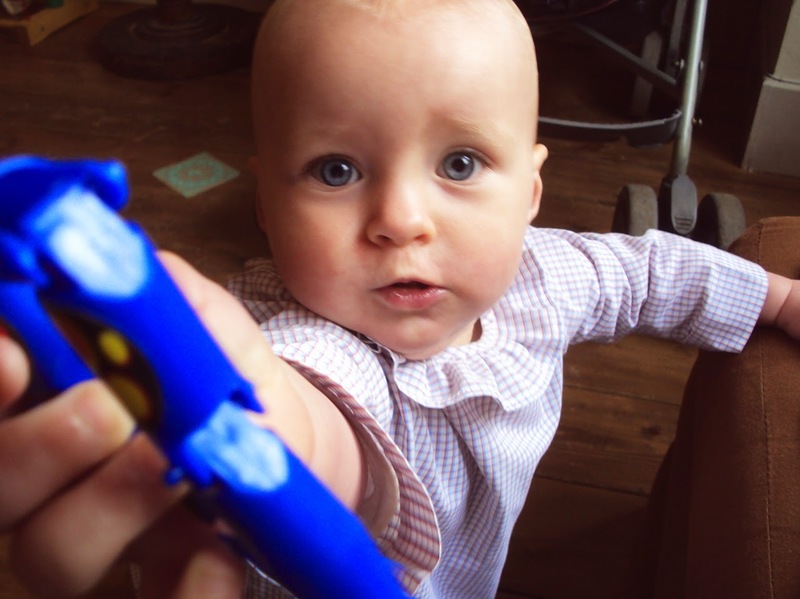 The Sept 2013 addition (pictured below) was a real exception because I adored most of the patterns from the issue's baby section. For this project I used the blouse pattern, but I also used the baby dress pattern from this issue to make Dolores's Christmas dress (which she was wearing today, in fact). If you like either of these patterns, you can buy them individually here and here from the Pattern Store on the Burdastyle website. For both the Christmas dress and this blouse I used the size 74. Dolores is slightly taller than that right now, but she is a bit skinnier than the 'average' for that size and it seemed to work out fine. 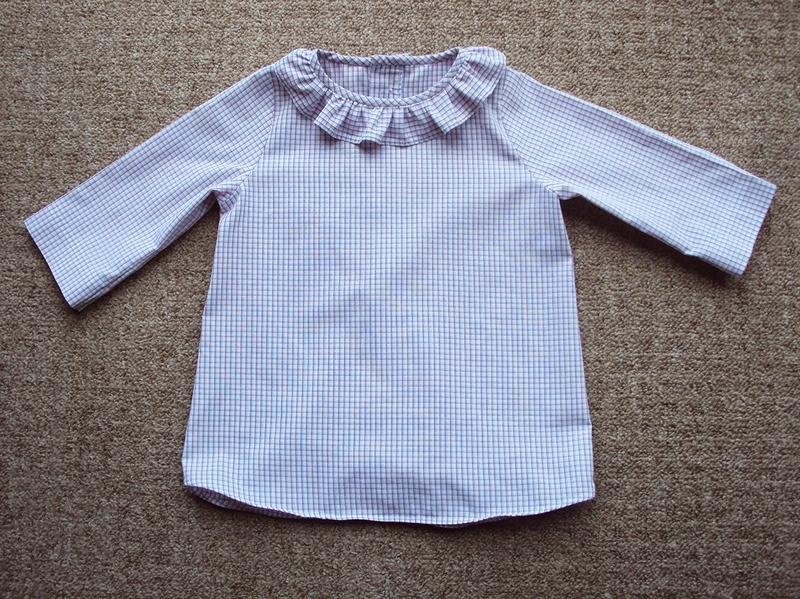 Whether you would classify this baby blouse as a refashion, remake, upcycle or anything else is of course a personal call. I would call it all of them! As well as making the most of the lovely fabric from an unwanted garment, I also utilised a few of the original garment's finishes, the most useful of which was the original button stand, buttons and buttonholes (see below) for the back closure. By cutting the pieces to include those, I side-stepped some serious faffing about, particularly because my current sewing machine is from the 1960s and doesn't have a one-step buttonhole function. The original shirt's button stand has been interfaced and looks so crisp and neat, I wouldn't have been (bothered) able to have created a finish that clean. Another element from the original garment was the sleeve hems. Because the shirt's sleeves were short, there wasn't enough fabric available to cut the blouse sleeves with sufficient hem allowance for the elasticated cuffs the pattern prescribes (which you can see here). So I kept the sleeves loose and used the deeper sleeve hem from the original shirt and I think I prefer the effect than the gathered version anyhow. This blouse has a less twee, more let's-go-to-work-wrecking-the-lounge look to it than the pattern intends. 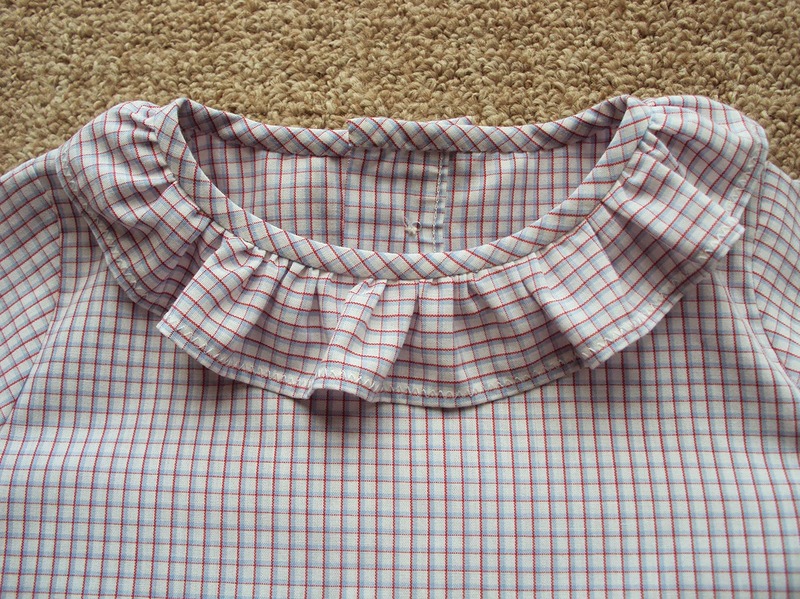 As I have done many times when refashioning men's shirts into women's blouses (see here for an example, plenty more on my Refashion Resource page), I used the original garment's hem. It has a pleasing curve that the blouse pattern didn't call for. To salvage the original hem, I stitched the side seams, then finished the seam allowance together as a closed seam, press the seam allowances towards the back and then made tiny bar tacks at the hem to encourage the seam allowances to lie flat as they wouldn't be trapped down by the hemming step (that was already done). I'm pretty much in love with this whole pattern and it's proportions, but my favourite parts are definitely the neck ruffle and bias binding neckline finishing. I was worried that the neck ruffle would might look a bit clownish. In fact, due to the restriction of fabric available in the original shirt, I had to cut the ruffle piece shorter, so it isn't quite a gathered as the pattern is meant to be. I'm hoping that helps side-step any circus associations that the finished blouse might have had! The self-made bias binding highlights the little check of the fabric, and the hand stitching that traps the inside edge down creates a neat finish which might have been difficult to achieve with a sewing machine on such a tiny garment. 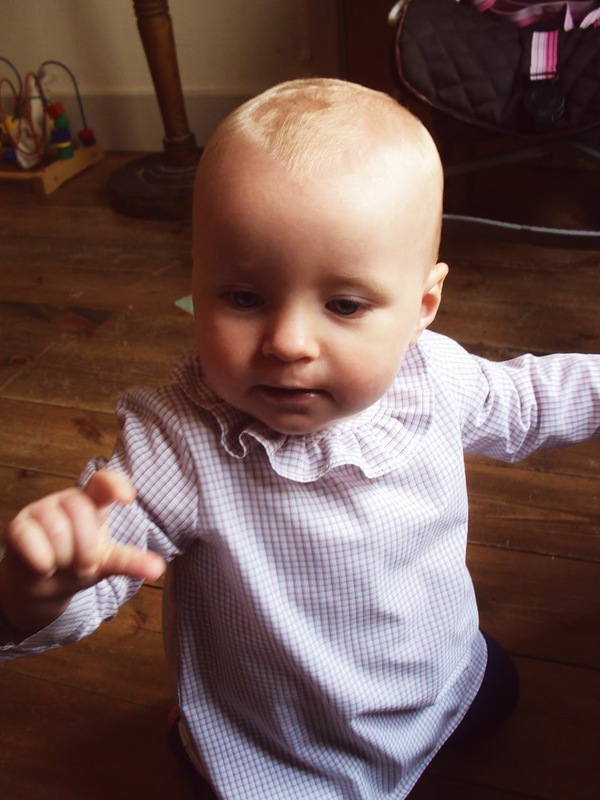 It may sound like I'm blowing my own trumpet a bit in this post (I'm English and such things are NOT ALLOWED), but I'm just trying to express how happy I am with this blouse, which means so much to me as the creation of it spanned both ends of my daughter's first year of life. It's also refreshed my love of reusing existing garments for a pleasingly cheap and lower-environmental impact sewing project. Sewing clothes rather than buying them is awesome for many reasons, of course. One of main things that appeals to many is the ability to put your personal stamp on a project by making your own design, fabric and notions choices. When refashioning an existing garment, you often can or indeed have to use elements from the original garment or work around restrictions which in turn has the effect of making the final outcome even more unique. For those who enjoy nosing at other peoples' charity shop/op shop/thrift store finds (like me), you're in for a treat! Lately I have been working HARD at scoring major bargains, let me tell you. The above booty was all found in one day whilst Dolores and I were visiting my parents in Essex. 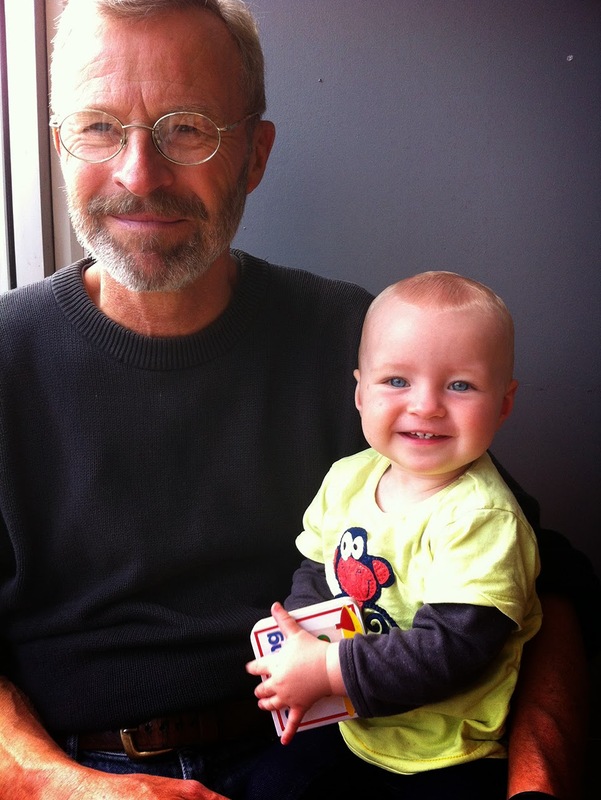 My dad, Dolores and I hit an unsuspecting Leigh-on-Sea one Tuesday afternoon. (Witness Dad and Dolores enjoying a mid-trip coffee break and one of her new books above.) With the baby strapped on, Dad and I quickly discussed our tactics on route (avoid the Salvation Army one because the staff are pretty racist and Oxfam because it's too expensive). We came away with nine vests, two t-shirts, one gilet, five books, one pair of leather Zara shoes (50p!) and one wheelie duck. Total spent: £11.70. If I'd bought all these things for Dolores new, I probably would have spent about five times that amount. Closer to home, I enjoyed further success in the limited yet bountiful charity shops of St Leonards, East Sussex (pictured above). Another crop of goodies all for Dolores, this time I got three books, one soft bath towel, one plastic rake and one spade, two t-shirts, one dinosaur sweatshirt and one swimming costume. Can't remember how much I spent, my apologies, but with those books coming in at 10p each, you can bet I spent a lot less than I would have buying each item new. 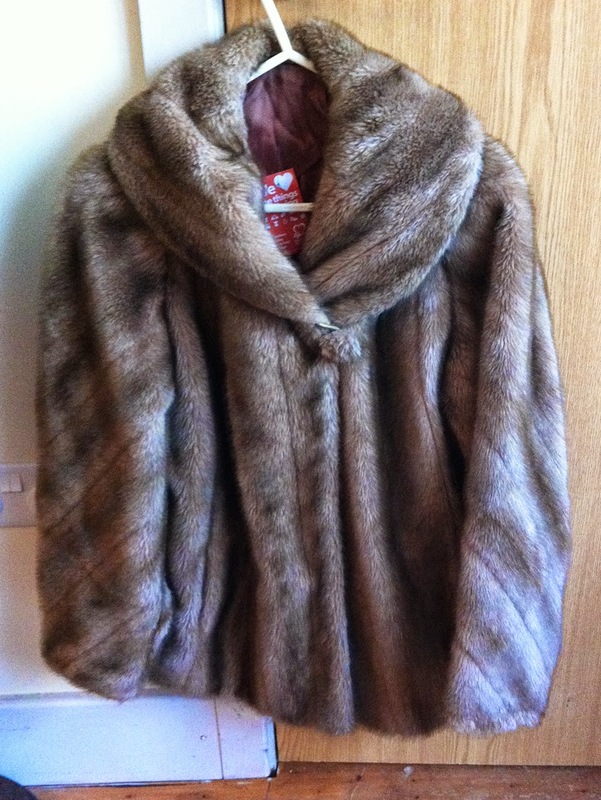 On the same day I later snared a faux fur jacket (pictured above) in a charity shop in Hastings for £25. It's in mint condition so I thought it was a fairly new item. However, after a good look I'm pretty sure it's vintage judging by the labels. I love how the grain of the fur faux runs on the bias down the sleeves. And the best thing about it? 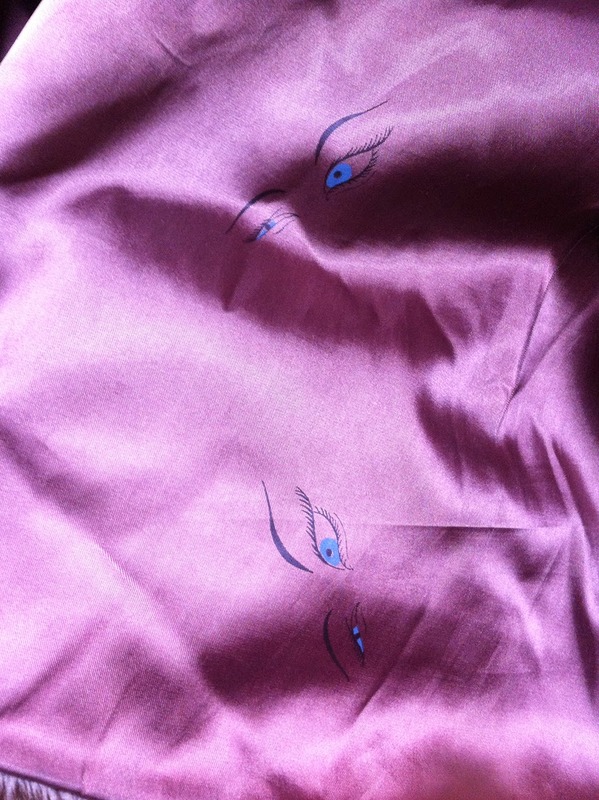 The lining has freaking eyes on it! Of course, it's not just the money saving that I love about charity shopping. There's the thrill of not knowing what you're going to come across, and finding out how kind the Gods of Charity Shopping are feeling on that given day. Plus I truly believe that we all need to try and consume fewer mass-produced products for the sake of slowing down global warming and the consumption natural resources. By buying things that have already been bought before and still have heaps of use left in them, I hope that it will, in some infinitesimally small way, mean that the world my daughter grows up in will be a better one than what I fear she's currently looking at inheriting. Have you had any good second hand scores lately? What is it about charity shopping/op shopping/ thrifting that you love, if in fact you do? 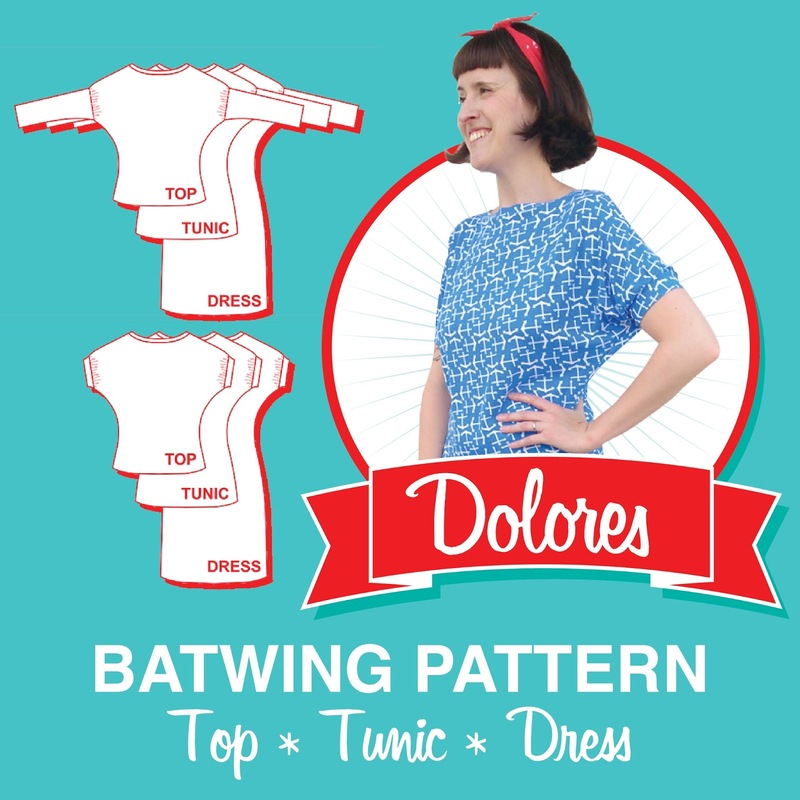 The Dolores Batwing Pattern: On Sale Now!!! The Dolores batwing pattern is now available to purchase! 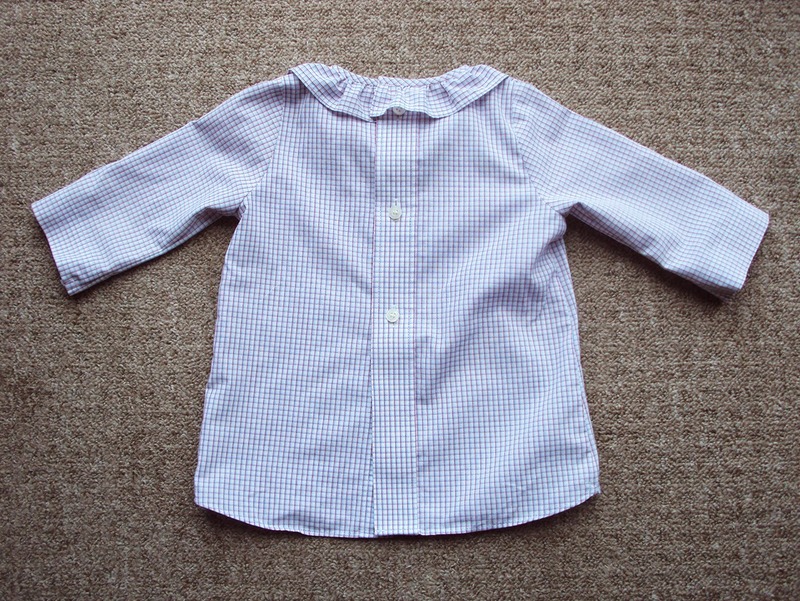 For only £7.00 you can make six different versions of this garment (just £1.16p per version!). Click here to buy the pattern, or visit the Dolores batwing pattern page for further details. Plus, don't forget to check out the Dolores Batwing Pattern Pinterest board to see other people's creations using this versatile sewing pattern. I can't wait to see their versions of the pattern and read their honest reviews. If you try the pattern, puhlease send me a pic or a link to a post if you blogged about it (sozoblog (at) g mail (dot) com).